Hollywood Theater of Stars was aired 1948-1951 over Mutual in an unusual daily time slot, 6:30, thirty minuets before prime time. It was billed as radio's greatest daytime dramatic program. The series was hosted by C.P McGregor showcasing the talents of famous Hollywood actors. 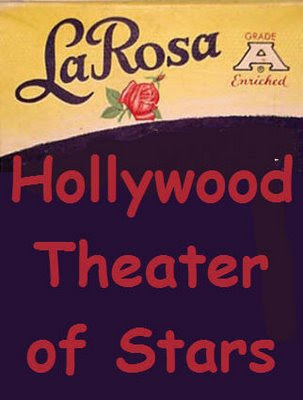 The show was sponsored by La Rosa.